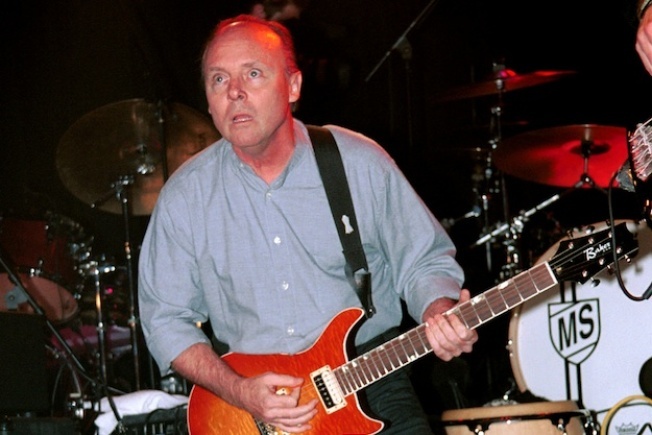 Ronnie Montrose had been in declining in health in recent years. Musician Ronnie Montrose performs during the Randy Castillo All Star Benefit at The Key Club April 29, 2002 in West Hollywood, CA. Rock guitarist Ronnie Montrose, who formed the band that bore his name and performed with some of rock's heavy hitters, has passed away. His booking agent, Jim Douglas, says Montrose passed away at his home in Millbrae on Saturday. He was 64. Besides forming his own band in 1973, Montrose also performed with a number of rockers, including Sammy Hagar, Herbie Hancock, Van Morrison, Boz Scaggs an d the Edgar Winter Group. Douglas says Montrose was working on releasing a new first DVD and starting a spring tour that would have taken him across the U.S.
Montrose is survived by his wife, Leighsa, as well as a son, a daughter and five grandchildren. Services are pending. A few months ago, we held a surprise party for Ronnie Montrose's 64th birthday. He gave an impromptu speech, and told us that after a long life, filled with joy and hardship, he didn't take any of our love for granted. He passed today. He'd battled cancer, and staved off old age for long enough. And true to form, he chose his own exit the way he chose his own life. We miss him already, but we're glad to have shared with him while we could.